Time offs are used to indicate when you are not able to work. Usually, time offs require supervisor approval. Time offs are one-time events that are typically used for vacation, appointments, etc. Note: This feature may be disabled. 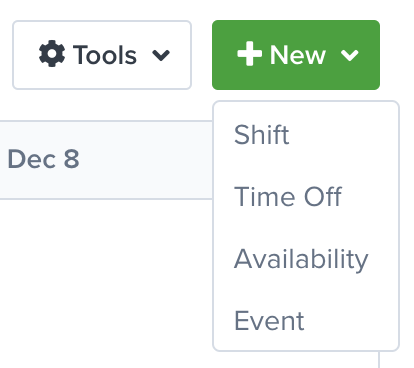 Supervisors can enable time offs from the Settings => Schedule Settings => Time Offs page. To create a time off request, go to the Schedule => Team Schedule, My Schedule, or Time Offs page. 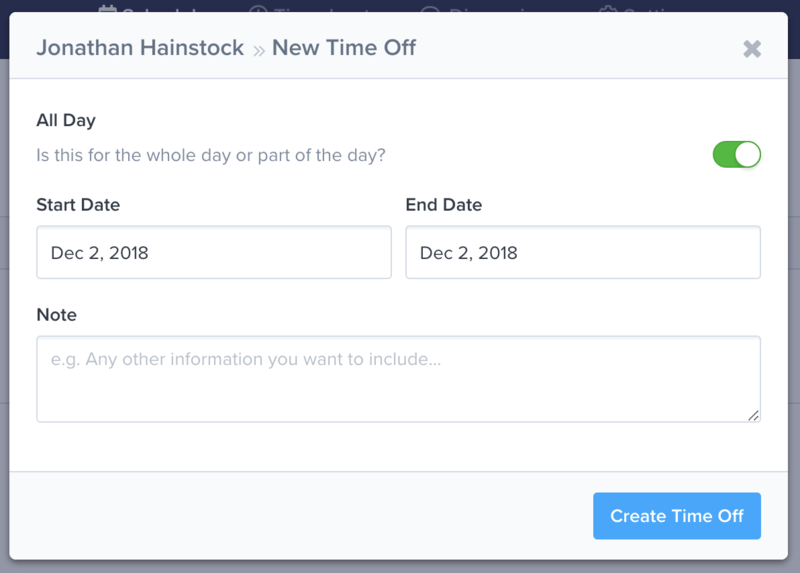 Next, click on the New button in the top right corner and click the Time Off option. All Day & Date Fields Specify if this time off request is for one day, multiple days, or part of a day. Note Provide more information about this time off request. Note: If you are a supervisor, you will have the option to select a team member and approve or deny the time off request. Learn about managing time offs, here. Once the form is submitted, you can find it on the Schedule => My Schedule, Team Schedule, and Time Offs pages.